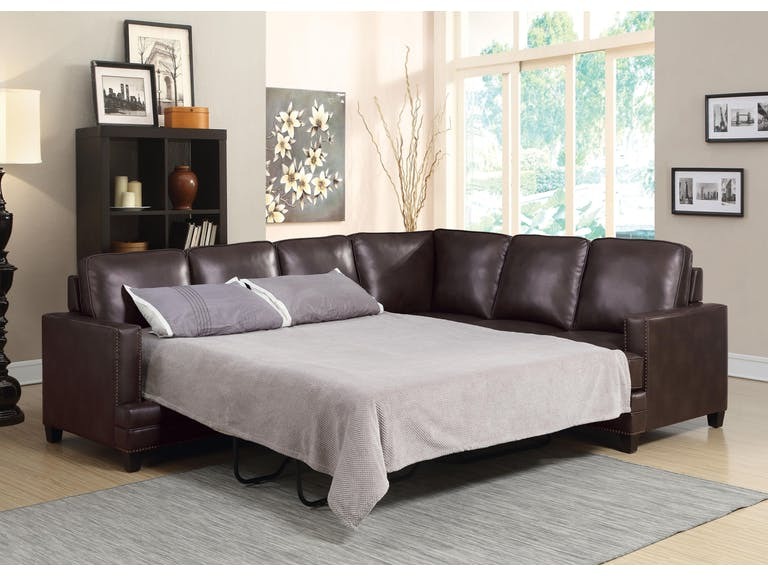 The sleek design of the Bevin sectional sleeper features modern shaped block arms with attractive nail-head trim. 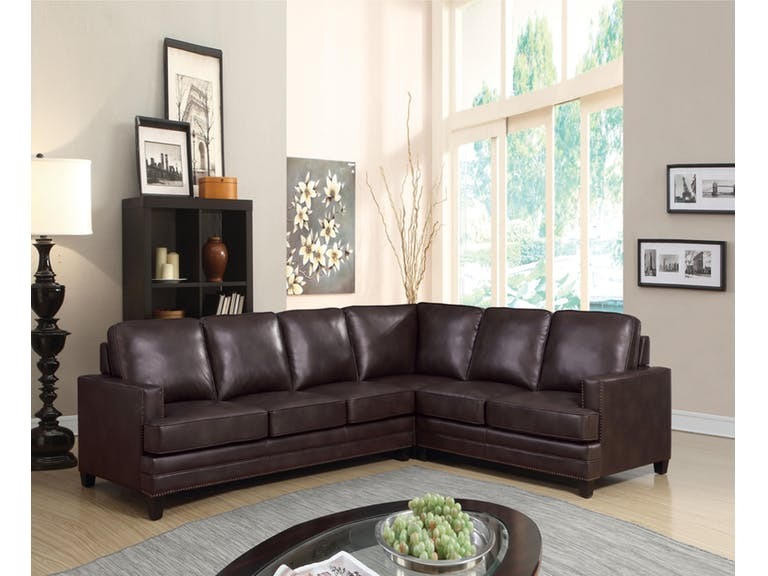 The supportive pocket coil seating and loose back and seat cushions are a perfect for comfort and wearability. Cushions come off to reveal a pull-out memory foam mattress that makes it easy for you to host overnight guests. Covered in a soft leather-gel for easy care, this set meets many needs.